Living… with idiots. 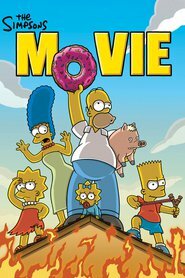 In the suburbs of Springfield, U.S.A., Lisa lives with older brother Bart and baby sister Maggie, and parents Marge and Homer— and they drive her crazy. She’s the most intelligent and most talented of the Simpson clan. Her intellect and moral spirit clash directly with the personalities of her family members. Profession… brainiac. She’s a favorite at Springfield Elementary School, where she was once bumped up from second to third grade for her bravura academic performance. At 8, she’s one of the youngest members of MENSA, the society of geniuses. Interests… saxophone, jazz/blues in particular. Zen Buddhism. Vegetarianism. Academics. 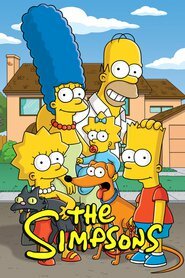 “Itchy and Scratchy” cartoons—one of the only interests she shares with her brother Bart. Then again, like her dad, she enjoys fighting Bart… and strangling him. Relationship Status... single. At various times Lisa has caught the eye of the dim-witted but kind-hearted Ralph, the school bully Nelson, and a recurring suitor: Milhouse, Bart’s best friend. None of these relationships come to fruition and Lisa remains something of a loner. Of course, she’s still only 8. Personality… warm, gentle, and determined. Generally humble about her intelligence, except when she’s actively proving it. Sometimes she’ll have a patronizing attitude to the less intelligent, which ends up landing her in detention and other precarious situations. Though lovely and likable, the precocious Lisa isn’t the most popular girl at Springfield Elementary. But she often finds friends in the company of those who share her interests, such as blues-sax player Bleeding Gums Murphy and fellow Buddhist Richard Geer. Lisa Simpson's popularity ranking on CharacTour is #83 out of 5,000+ characters. See our top-ranked characters and read their profiles.